Thomson ReutersA woman walks past a Honda Motor Co. dealership in Tokyo. 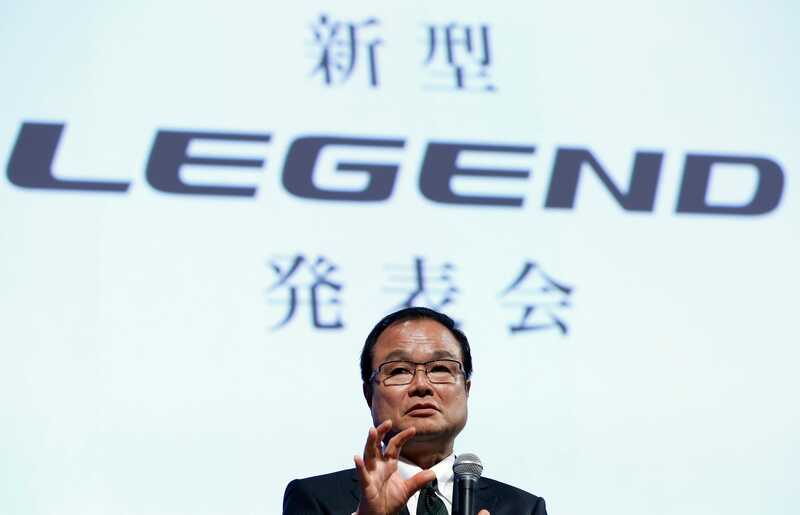 Two former Honda Motor chiefs have called on CEO Takanobu Ito this year, urging him to focus more on quality issues, increasing the pressure he’s already under from US regulators and politicians over mass air bag recalls. Nobuhiko Kawamoto and Hiroyuki Yoshino made separate visits to Ito at the Japanese carmaker’s Tokyo headquarters, three people familiar with the visits said. They said the former CEOs had a firm message for Ito, 61, urging him to act quickly on quality issues that risk damaging the Honda brand. Honda has recalled some 9.5 million cars of various models since 2008 for potentially defective air bag inflators made by Takata Corp. It has also had five recalls of the electric-gasoline hybrid versions of its Fit subcompact car and Vezel crossover utility vehicle since their launch just last year, and five recalls on its Super Cub utility motorbike since 2011. “We don’t know how, but Honda is fraying around the edges,” said one of the knowledgeable individuals, who was on Honda’s management board in the 1980s and was briefed on the visits by Yoshino and Kawamoto. The people didn’t want to be named as the meetings they described were private. REUTERS/Yuya ShinoHonda’s president and chief executive Takanobu Ito at an event to unveil the renewal hybrid sedan car ‘Legend’ in Tokyo on Monday. 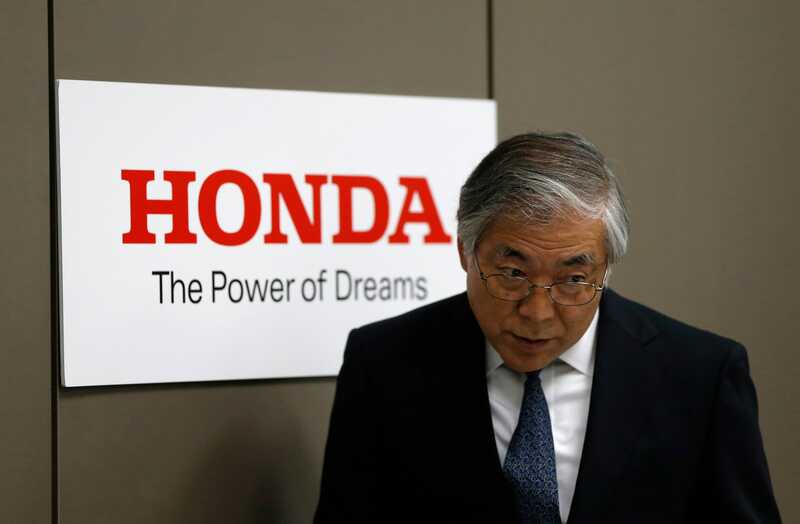 Kawamoto, 78, who was Honda CEO from 1990 to 1998, visited Ito last month and had “stern words,” one of the knowledgeable individuals said, about the sharp rise in recent recalls. And earlier this year, Yoshino, a 75-year-old engineer who was Honda’s CEO from 1998 to 2003, told Ito he must focus on day-to-day operations at Honda rather than accept an invitation to be head of Japan’s automobile manufacturers association. The knowledgeable individuals said there was no pressure from the former executives on Ito to resign. “There’s a rumour that Kawamoto asked Ito to step down, but if that’s true, Ito would be gone by now,” one of them said. 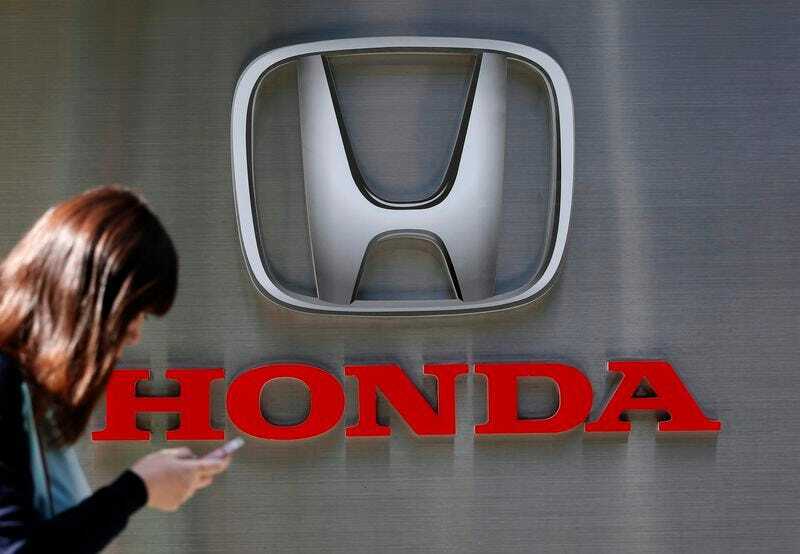 Akemi Ando, a Honda spokeswoman in Tokyo, declined to comment specifically on the visits. “Generally speaking, visits from former executives are not that unusual. We receive advice from them on various issues,” she said. The message to Ito may be getting through. Having agreed last month to take a pay cut of one-fifth for three months in the wake of the Fit recalls, he said this week he would put quality improvements ahead of Honda’s sales targets, echoing Toyota chiefs’ re-prioritisation five years ago when they were reeling from mass recalls over sudden-acceleration in some of their cars. The former executives believe Honda’s recall problems may stem in part from a decision Ito made after he took over in 2009 to change how the company develops and procures components. Honda achieved industry-leading levels of quality over the past three decades through forming “keiretsu” — bringing parts makers closer to the core through cross-shareholdings to allow close cooperation in designing components. Toyota and Nissan had similar set-ups. But as cars have become less mechanical and more technical — and quality is seen as a given — the focus has shifted to who can offer buyers “more car” at an affordable price. That has prompted automakers like Honda to focus on core technology like hybrid propulsion and hydrogen fuel-cell cars, while commoditised parts like doors, seats, and even transmission are now procured more widely rather than from “keiretsu” suppliers, with the risk they may be cheaper rather than better. “We think this change might have been one cause for some of the recalls we’ve seen,” one of the knowledgeable individuals said, adding he thought Honda engineers may now be having to do too much.